FltPlan was established in 1999 and has grown into the largest flight planning company in North America. Our 165,000-plus active, registered users file more than 50% of all N#-registered flight plans. FltPlan continues to respond to the complex needs of general aviation with accurate and reliable products backed by outstanding customer support. FltPlan.com. The core of our system is FltPlan.com, a free flight planning and filing website that covers the U.S., Canada, Mexico, the Caribbean, Central America, Panama, and parts of Venezuela and Colombia. FltPlan Go. The free FltPlan Go app for iOS, Android, and Windows is an indispensable companion to the website and incorporates essential and beneficial features and tools for in-flight and offline use. FltPlan Go connects easily to most ADS-B receivers to deliver current weather information. FltPlan Go connects to multiple avionics systems to ensure the accurate delivery of important flight plan data directly into the cockpit. FltPlan is renowned for fuel burn accuracy, reliable flight times, and accurate routing. We feature performance profiles for more than 320 aircraft models from experimental to inter-continental business jets. We have more than 26 years of flight planning and filing experience and continue to evolve to meet the changing needs of our users. Our services and products are backed with outstanding customer support, 24/7/365. Information is seamlessly integrated from FltPlan.com to FltPlan Go and to our premium services. From routing to Weight & Balance, your information is available on any device, at any time. In addition to the free FltPlan.com website and FltPlan Go companion app, we offer a range of integrated premium services. You have the flexibility to choose the services that meet the unique needs of your organization. FltPlan's premium services are competitively priced and backed by outstanding customer support. Master your flight scheduling with FltLogic, the only program that integrates with FltPlan. FltLogic offers a comprehensive suite of features from trip requests and approvals to flight planning and post-flight reporting to meet your complex and changing needs. FltPlan&apos;s eAPIS service streamlines manifest submissions for your international trips. 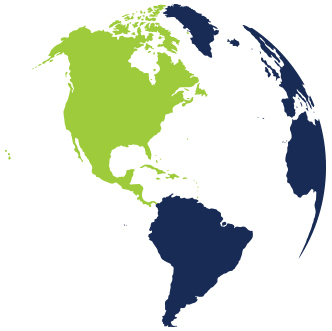 In addition to eAPIS for the U.S., we offer Canadian, Mexican, and CARICOMM APIS. Because our eAPIS and APIS services are integrated with your FltPlan account, you'll know if a manifest submission is required for your trip. Our SMS integrates with your FltPlan account for easy entry and retrieval of weather briefings, navigational logs and FRATs. FltPlan SMS lets you create multiple, custom FRATs to accomodate the unique flying needs of your operation. Records and documents can be stored on our secure servers for easy access by your team or for compliance verification. For maximum privacy and security, jets and turboprops can fly anonymously using a Dot Com (DCM) call sign. Using a Dot Com call sign allows you to block or unblock your aircraft at will. Your aircraft will be visible on public flight tracking websites as FltPlan --- not by your tail number or company name. For jets and turboprops not equipped with a datalink, PDCs are an efficient and hassle-free alternative to verbal clearance delivery. PDC text clearances are currently available for IFR flight plans at more than 75 airports. FltPlan provides runway analysis in partnership with APG (Aircraft Performance Group) and ASAP (Automated Systems in Aircraft Performance). Both programs give aircraft operators optimal calculations for the safest and most efficient takeoffs. Choose from two levels of Premium Flight Tracking to track your vendor-blocked aircraft. Real-time ATC information, including departure/arrival airports, aircraft type, departure/arrival time, altitude, and groundspeed are displayed on state-of-the-art maps. FltPlan Manager is an integrated, web-based fleet tracking program designed specifically for charter operations, large flight departments, and fractionals. You gain insight into and control of your fleet from a single administrative account. FltPlan offers international handling for Mexico, Central America, and the Caribbean. You can request a quote directly from you FltPlan account and, unlike other handling services, what you're quoted is what you pay. No surprise bills or hidden fees.